Managing arsenic intoxication with conventional metal chelators is a global challenge. The present study demonstrated the therapeutic role of probiotics against arsenic-induced oxidative stress and female reproductive dysfunction. Sodium arsenite-treated (1.0 mg/100 g body weight) Wistar female rats were followed up by a post-treatment of commercially available probiotic mixture in powder form (0.25 mg/100 g body weight) orally. Rats that experienced arsenic ingestion showed a significant lessening in the activities of uterine superoxide dismutase (SOD), catalase activities, and the level of non-protein soluble thiol (NPSH) with a concomitant increase in malondialdehyde (MDA) and conjugated dienes (CD). Exposure to arsenic significantly lowered the levels of vitamin B12 and estradiol. Exposure to arsenic highly expressed the inflammatory marker and transcription factor NF-κB. Arsenic-mediated instability of these above parameters was controlled by the probiotics with a rebuilding of better function of anti-oxidant components. 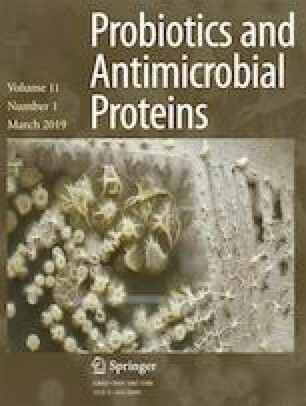 Besides its function in regulating endogenous anti-oxidant system, probiotics were able to augment the protection against mutagenic uterine DNA-breakage, necrosis, and ovarian-uterine tissue damages in arsenicated rats. This research was partially supported by a grant from UGC Maulana Azad National Fellowship (no. F1-17.1/2014-15/MANF-2014-15-MUS-WES-36088).